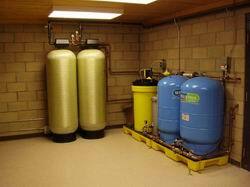 Water Treatment System Services - Northeast Water Solutions, Inc.
NWSI offers a complete range of technical services and support for Water Supply, Treatment and Distribution Systems. These services can be provided on an as-needed basis, or as part of a comprehensive Contract Service. Our staff includes registered professional engineers, certified operators and service technicians experienced in all aspects of system operation, maintenance and troubleshooting.